Gulf Coast Spyce Cologne is a fresh scented man�s cologne or splash that doesn�t over power ones senses but makes you want more. Customers say, "now this smells like a man should smell". 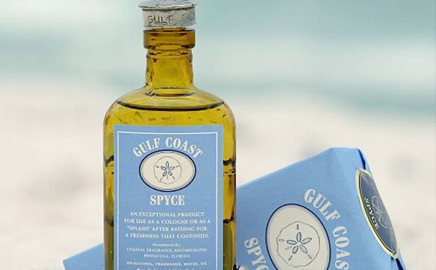 The Gulf Coast Spyce Cologne scent is certainly alluring, since my customers ask after noticing a nice fragrance in the air when they walk in my store, "what smells so good? The bottle is molded brown glass, with an embossed outline of the Chesapeake Bay on the back. 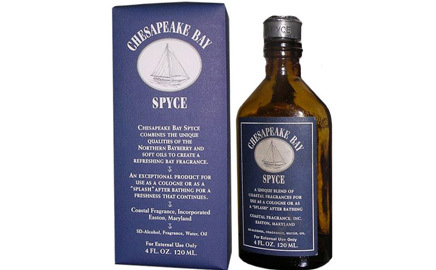 Chesapeake Bay Spyce combines the unique qualities of the bayberry and soft oils to create a refreshing bay fragrance. Boaters, fishermen, golfers, and all those with an interest in the outdoors want to know which direction the wind is blowing. This finely crafted wind indicator instrument will provide the answer. 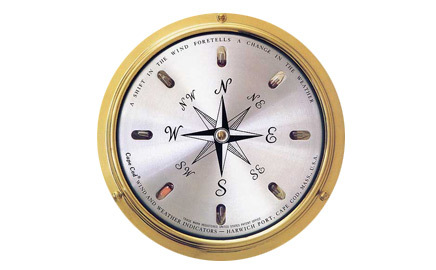 A small roof top weathervane points the wind direction to you indoors by lighting up the compass points on the decorative and elegant spun silver face of the highly polished brass dial. Wood Base: Solid North American hardwood with rich mahogany finish. Weems Slide 'n Lock� mounting plate comes attached to inside back of base. 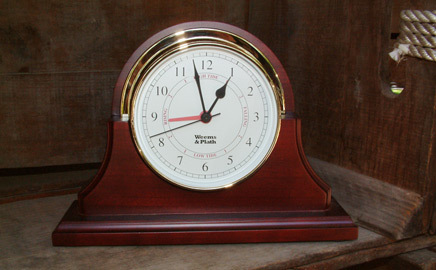 Base:# 125S - 10-3/8" x 2-3/4" x 7-3/8"
Combination quartz and tide clock movement which averages the Atlantic lunar tide cycle. The tide sector is calibrated for the east coast of the United States. A Sailing Ship's reproduction from the famous whaling vessel the "C. W. Morgan". A clever solution for the light problem was the deck prism. Laid flush into the deck, the prism point drew light down below decks. Made in the USA. 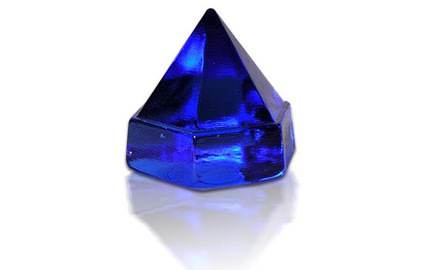 Dimensions 3 inches wide, 3.25 inches tall. Denomination: $1.00 Finish: Proof Alloy: .925 Fine Silver Diameter: 38.61mm Weight: 28.28 gms The Royal British Mint Worldwide mint limit: 150,000. Each coin is encased in plastic and comes in a velvet coin case with a certificate of authenticity. 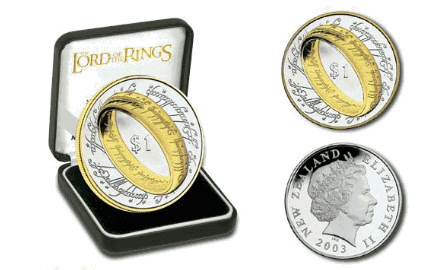 The superb design depicts a fine gold plated ring as a center piece on a sterling silver coin with Elvish script as a design feature. 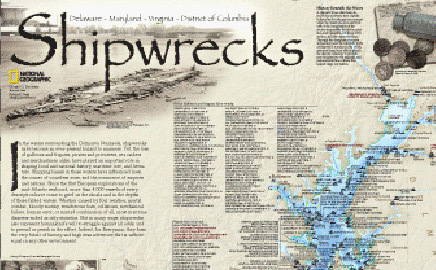 The Shipwreck map of DelMarVa has 2,200 shipwrecks featured. The map measures 28" W x 35" H, art work by Robert Pratt, cartographer & research of the shipwreck locations with names & dates of sinking by Don Shomette. Of the 10,000 to 12,000 wrecks believed to lie on the sea floor, this is a one of a kind comprehensive representation.